The metallic smell of blood tingled Mary’s nose and tongue as she neared the Temple. It mixed with the stink of entrails and turned her stomach. The lamb in her arms must have smelled it too. It began bleating and pulling against her. “Shh,” she chided the animal. The pressing crowd was so loud Mary could barely hear its pleas. Merchants were shouting to potential buyers. Families were desperately trying to keep track of little ones. Harlots were calling out to men traveling alone. Mary stayed as close to her father as she could while clutching the wiggling animal against her chest. “Keep up, children!” Johnathan yelled. The flow of people pushed Mary around like a small boat caught in a raging storm on the Sea of Galilee. She wondered how people lived in Jerusalem year-round. Streets which were always packed were made impassable during festivals. Jews from all around traveled to Jerusalem to fulfill their religious requirements. Mary looked over her shoulder to see Martha holding Lazarus’ hand and pulling him behind her. “Are we going to be late?” Mary asked. Mary held her breath as she watched him run. Lazarus’ olive skin should have been toasted by the sun, but he was pale. He was forced to stay inside most of the time by one sickness or another. Festival times were a good excuse to allow him to experience limited freedom. It would be her week ruined if he injured himself again. Lazarus made it to Johnathan’s arms, just as he began a coughing fit. Johnathan patted his son’s back a few times. “There now, boy.” He picked Lazarus up and placed him on his broad shoulders. “I just don’t understand why he’s so slow,” Martha said, catching up to Mary. Mary nodded as the lamb struggled in her arms. She gripped its head against her chest and took a steady breath. She felt her heart pound against the animal. She was just as nervous as the little lamb and desperately tried to calm herself. At least their fates would not be the same. The family pushed their way through the crowded streets toward the large Temple ahead. “Isn’t it magnificent?” Johnathan asked. “It looks the same as last year,” Mary said. Her father shot her a glance. “Sorry.” Mary tucked her head to avoid his gaze. “It’s so big,” said Lazarus. In the sea of people, Johnathan took the large Temple steps two at a time as his made his way into the stream filing into the courts with his children close behind. Mary felt the drops of perspiration on her forehead. It was spring, but the multitude of bodies in the confined area overheated her. She wished to rip her headpiece off and catch a cool breeze on her face. But it was not permissible in public and was especially prohibited in the Temple. They stopped at the end of the Court of Women. Mary handed the noisy lamb over to her father. “Watch your brother,” Johnathan said, heading into the Court of Men. Mary watched her father walk to the half-wall which led into the open courtyard. He paused at the gate and passed the young lamb to the priest. Lazarus shook his head as tears streamed down his dusty cheeks. Lazarus shook his head again. Martha’s lesson faded into the noise of the crowd. Mary watched the priest lift the knife and make a clean slice on the animal’s neck. She saw the blood begin to pour out into a bowl on the table. Her breath quickened. Flashes of blood and screams tore across her mind. She shut her eyes and turned her back on the sacrifice. “Mary?” Martha asked. She put a hand on her sister’s arm. Mary jumped. “I need to get out of here.” She rushed through the Court of Women forcing herself past dozens of bodies. Mary nearly tripped down the large steps, but caught herself on a group of women. “Forgive me,” she said. Mary reached the bottom step and entered into the stream of travelers. The open air helped her restricted breathing. 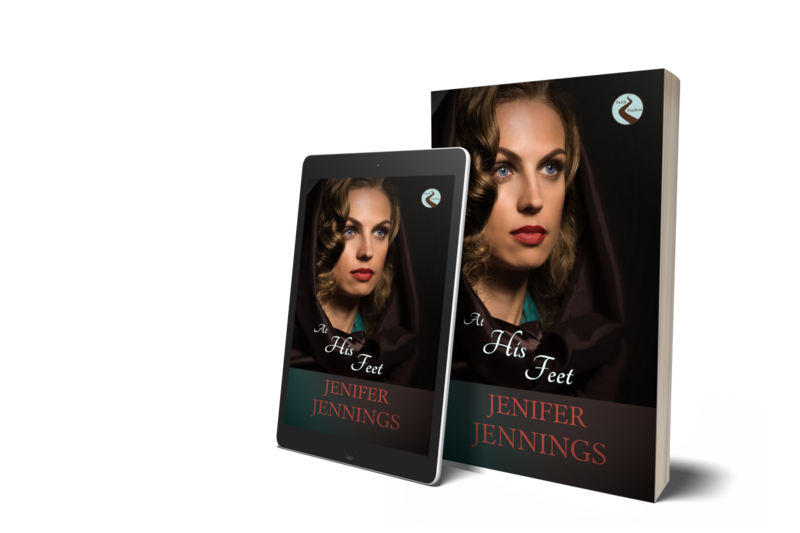 She pulled on the cloth around her neck and slowed her pace. Finding shelter near a building, she took a deep breath. A waft of spikenard danced on the hot, dry air. Memories threatened to take over, but she fought them back. She breathed in the spikenard until it was the only thing she could smell. Her whole body shook. “Why did you rush off like that?” Martha asked, pulling Lazarus behind her. “I needed some fresh air.” Mary glanced down at Lazarus and forced a smile. “It was crowded in the court.” She replaced her wrap over her head and around her neck. Mary nodded as she tucked the last bit of hair under the linen. “Mary? Martha?” their Father’s voice called from the crowd. “We are here, Father.” Martha waved. Lazarus pulled away from Martha. “Daddy,” he said, running toward him. Mary noticed the wrapped cloth under her father’s arm. Blood was beginning to seep through the material. She knew it contained the freshly slaughtered lamb they had led to the Temple for the Passover sacrifice. Her throat tightened and she had to look away. Martha and Lazarus followed close behind Johnathan. Mary kept near, but left a few paces between them and herself. As they walked through the market street, Mary let her nose guide her to the scent that called to her like a harlot calling to her next customer. She followed the trail towards a nearby booth. “Perfumes! Spices!” A merchant chanted. She stopped to stare at a few small bottles of various colors and shapes. Mary enjoyed the lingering fragrance before placing it back on the table. “I do not have any coins to offer.” Mary waved him off as she walked away. Tears stung her eyes. For the first time all day, Mary was glad that most of her face was covered. “I miss you, Mother,” she whispered. “Everything was so much better when you were here.” She rubbed her eyes and caught up to her family. She reached Martha and linked arms with her. “I’m excited to see everyone again,” Martha said. The family rounded a corner and stepped inside a courtyard. “Johnathan!” A woman, obviously great with child, called when they entered. “Mary,” he said. “It’s good to see you. I have the lamb for tonight.” Johnathan handed her the wrapped linen. Mary guided Martha and Lazarus into the courtyard. “There they are,” the older woman said, handing the lamb to another woman who had come up behind her. “Come here, my little ones.” She reached out. “Me too.” Mary stepped aside. Martha stepped closer to hug her, but Lazarus stayed in the doorway. Lazarus shook his head and took a step back. Lazarus stepped back inside, but came no further. “Same place he always is, talking with the other men and being in my way.” She let out a loud laugh which echoed off the mudbrick walls. Mary and Martha made their way down the dusty street to find the group of kids. “Martha! Mary!” Assia squealed and hurled herself into Martha’s arms. “Greetings,” Martha said, hugging her friend. Martha followed Assia toward the large group of children. Mary leaned up against the cool wall to enjoy the shade. “Greetings, Mary,” a voice said. Mary turned back to stare at him. He always seemed to be able to read her mind. The last time she saw him he was a young boy. The person who stood before her now was walking the fine line between boy and man. His muscular arms matched his father’s craftsman’s build. Heat rose in her cheeks and she looked down at the sand between her sandals. “Then how can I forgive?” She narrowed her eyes at him. “I was young; too young to see such horrors.” She took a deep breath and let it out slowly. Closing her eyes, Mary recounted the memory that was etched deep in her soul, “The day was beginning to turn to night. I can still smell the freshly baked flat bread and vegetable stew Mother had prepared. Father and I had eaten our fill as Mother tended to my new sister, Martha.” She opened her eyes and looked at Jesus. “Martha was so tiny.” She looked at the group of children playing a few paces away. “Mother was rocking her and singing one of my favorite songs when the commotion began. “Mother had merely nodded as she was fixed on Martha. “He stroked my head and tried to calm me. ‘There, there, Mary. Nothing to fear,’ he said. “The door to our home flew open and in charged two Roman soldiers. I had seen them before on our trips into Jerusalem. They towered over me. “ ‘There,’ one ordered the other. He pointed to my Mother. “ ‘No!’ She screamed and huddled Martha to her chest. “ ‘What is the meaning of this!’ Father had demanded. He set me down and stood. “ ‘We have orders,’ the one at the door barked. “I noticed blood dripping from the soldier’s sword.” Mary choked back tears. “The second man wrestled Martha from my mother’s arms. “ ‘Please, don’t hurt her,’ Mother pleaded at the soldiers’ feet. “I rushed to Mother’s side to check on her. Martha began to cry in the man’s arms. The soldier unwrapped Martha from her cloth and held her naked little body up for the other to see. “ ‘Another girl,’ he said. “He handed Martha to my father and walked out behind the other soldier. “Mother rushed to recover Martha from Father’s arms and soothed her tears. ‘Shh. I’m here. I’m here.’ She took Martha into the next room. “I didn’t wait for permission or even think to ask. I followed him out the door and into the streets of Bethany. “ ‘It’s Herod’s order. They are here to kill all male children two years of age and younger,’ the man explained and then rushed off. “ ‘Killing children?’ my father’s words held disbelief. “ ‘Daddy,’ I called to him. “ ‘Mary. What are you doing out here? Get back inside. It’s not safe.’ He turned me around and pointed to our home. “Just then, another Roman soldier came out of a nearby house holding a naked baby in his arms. “The two soldiers released her and moved on to the next house. “She crawled over to her baby’s body and held him in her arms. She was wailing and screaming for him. “Then a toddler rushed past me. He was naked as well and barely able to walk. He tripped in the sand and began to cry. I rushed to pick him up,” Mary said, stretching out her arms, “But a soldier beat me to him. He used his sword to silence the crying boy. “Father ordered me to return home. I-I-I was frozen.” She shook her head. “My feet wouldn’t move and my eyes wouldn’t blink. Screams came from every direction. Blood stained the ground around my bare feet. Young boys’ bodies lay everywhere. Mothers huddled over them, refusing to be comforted.” She let the tears flow freely before she wiped them away with her sleeve. “Father picked me up and carried me inside our home. He set me down and closed the door behind himself. Mother was huddled in a corner with Martha in her arms. She was singing the same song she had been singing before the interruption. Martha was asleep again. My house was quiet as the other mothers of our town wailed under the cover of night.” She took a breath to steady herself. “Roman soldiers searched every house that night. Checked every young body and slaughtered any boy under two that they could find. Want to read what happens next? 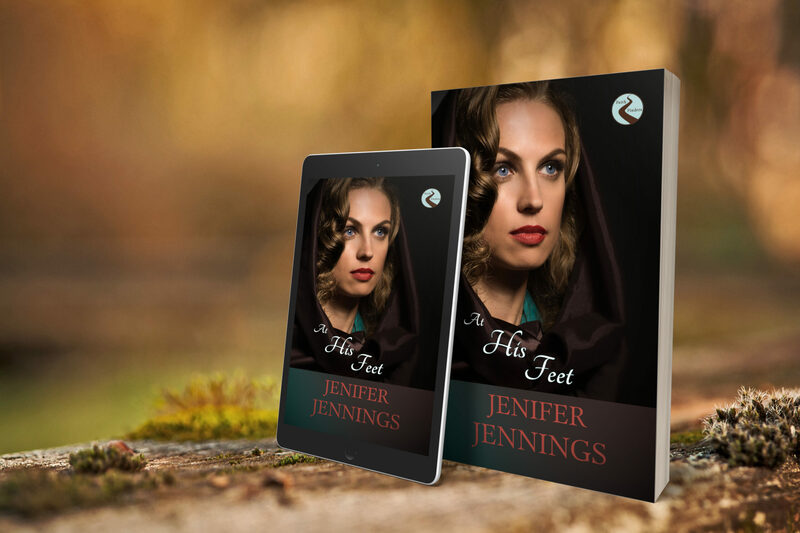 ​​Grab your copy of At His Feet for $3.99 eBook or $12.99 paperback. See where Mary's faith walk leads her.